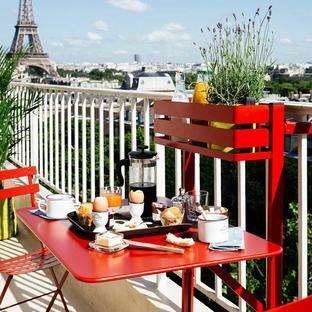 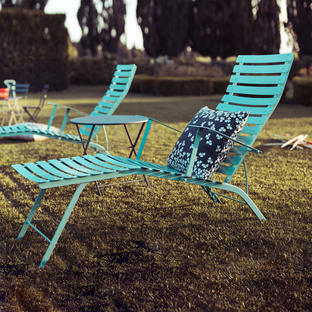 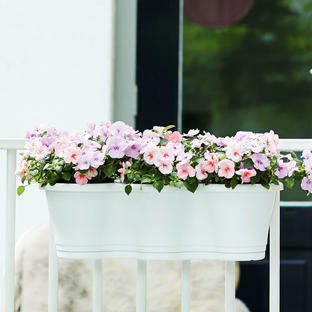 Add style and colour to dreary balcony rails. Durable and sturdy balcony planters in simple urban colours. They give a unique and elegant solution to decorate your balcony railing or fencing. 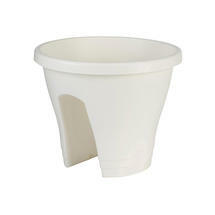 They are made from thick moulded plastic which makes them durable and strong. 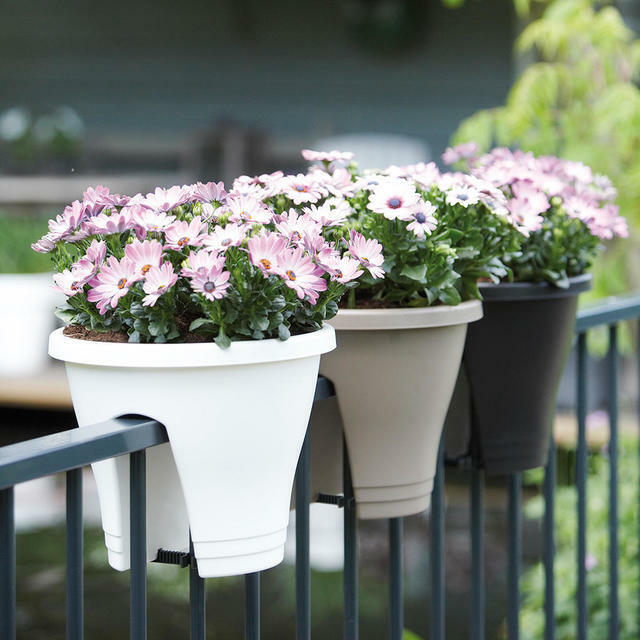 They can be fixed to your balcony in seconds with the universal system allowing the planter to fitted to balcony railings up to 6cm wide. 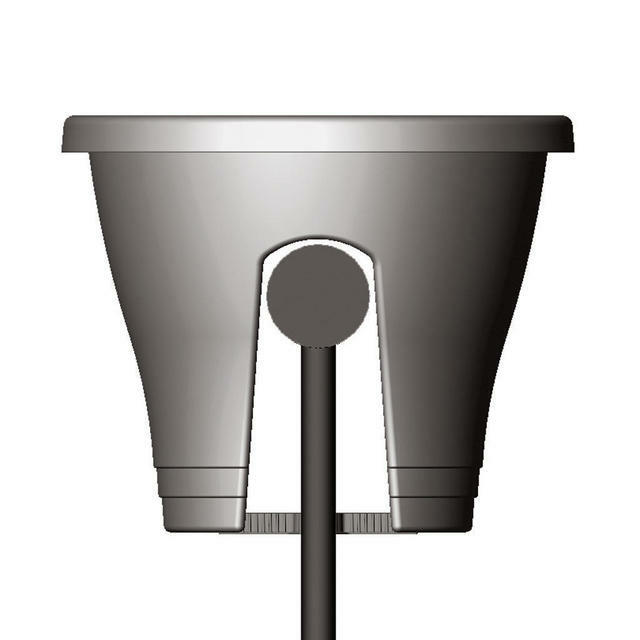 Each planter includes two strong fixators which enables a quick installation and ensure that your planter is secure and stable on your balcony. 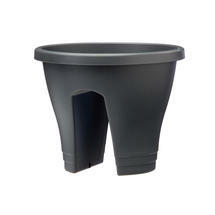 Please note the planters can be fitted on railings up to 6cm wide. 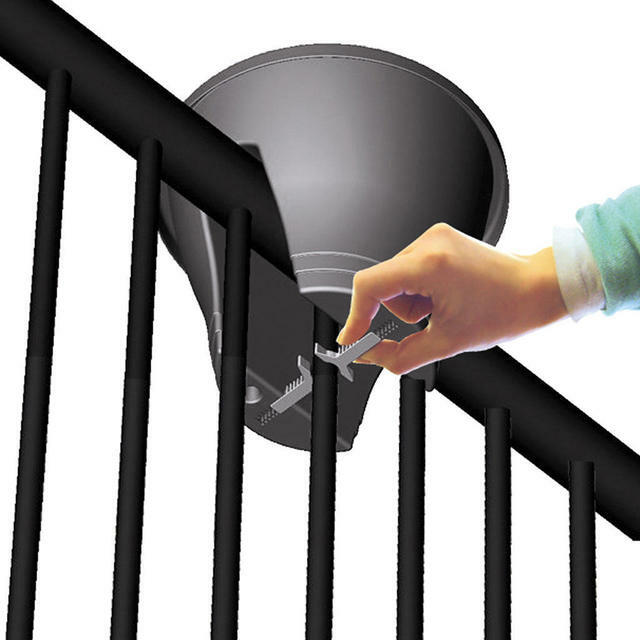 The unique fixator 'grip' mechanism is c16-17cm below where it sits on the railing. 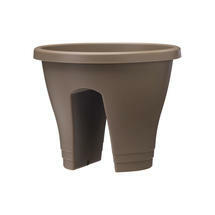 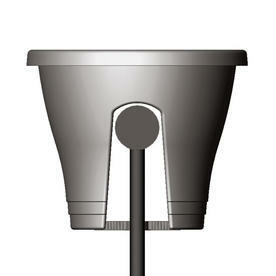 If you are looking for a larger balcony planter or one that works with a wider rail see the Adjustable Balcony planter.